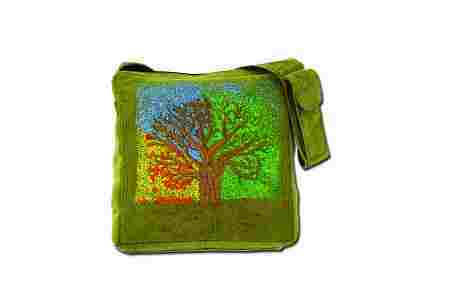 This corduroy purse features a hand embroidered tree of life in all four seasons. This bag comes in three colors: Blue, Green, and Brown. Features a concealed pocket and a regular pocket on the shoulder strap.